Ahhh what could be nicer than a bowl of hot soup on a cold evening. There’s something truly nourishing about soup, being warmed from the inside, like a big hug from the inside! Hart and Soul all natural soups are made exactly for it. Nourish your body and soul from the inside. And if you add a delicious pesto twist to our coconut and lentil , it’s even better ! 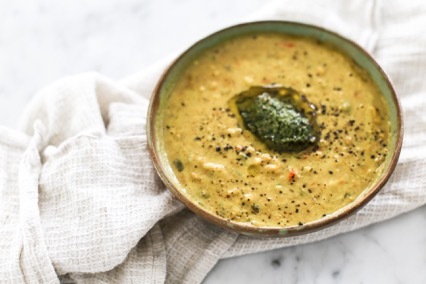 Made with our nutrient-rich Hart & Soul Coconut & Lentil, Holly from the @paradise_pantry added a simple twist of pesto to the dish for something a little difference. Check out her delicious home made pesto recipe below.